Watershed is a privately owned, multi-disciplined consultancy that specialises in providing advice, support and services to the aquatics, recreation and education sectors across New Zealand. Watershed’s considerable experience with school property management, and its close work with the Ministry of Education has seen it build a rich understanding of day to day property related issues that schools are faced with every day. 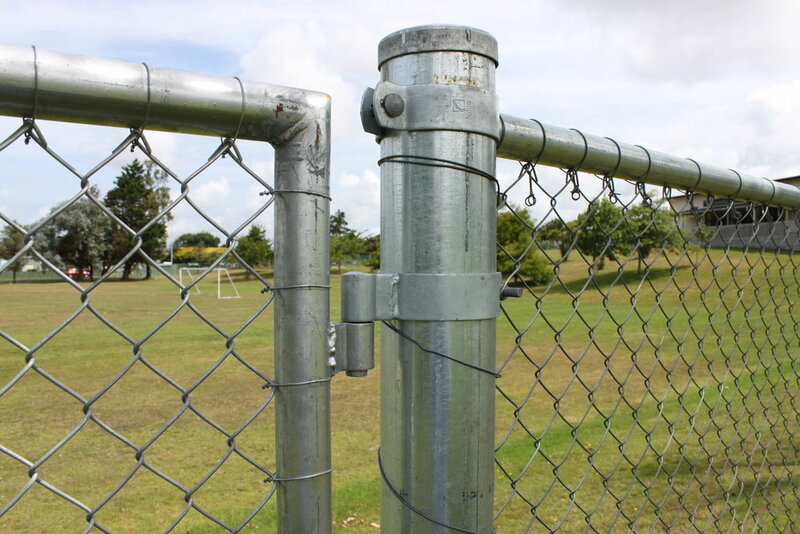 A key issue is property security and this starts with robust and secure school fencing and gates. 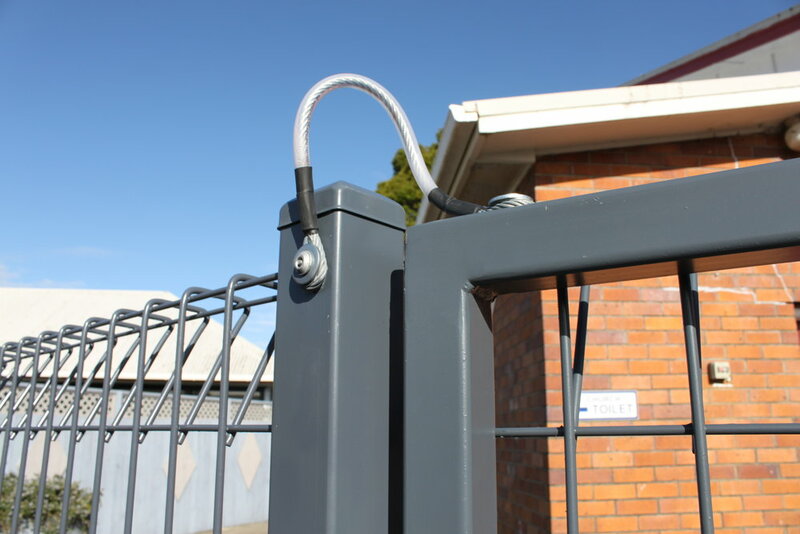 When it comes to finding the very best fence and gate solutions for its clients, Watershed consistently turns to the team at Hampden Fence as the best source of high-performance school fencing products that never compromise on security and style. 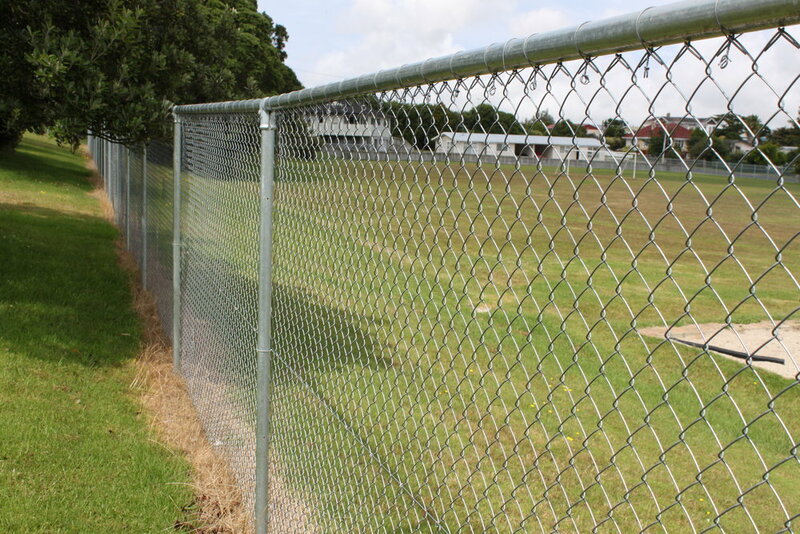 “We have worked with Hampden Fence at a number of schools and find them easy and accommodating to work with. They have shown their ability to think outside the square and manufacture solutions that fit both ours and our clients’ requirements,” says Dayle Franklyn, Project and Property Consultant at Watershed. 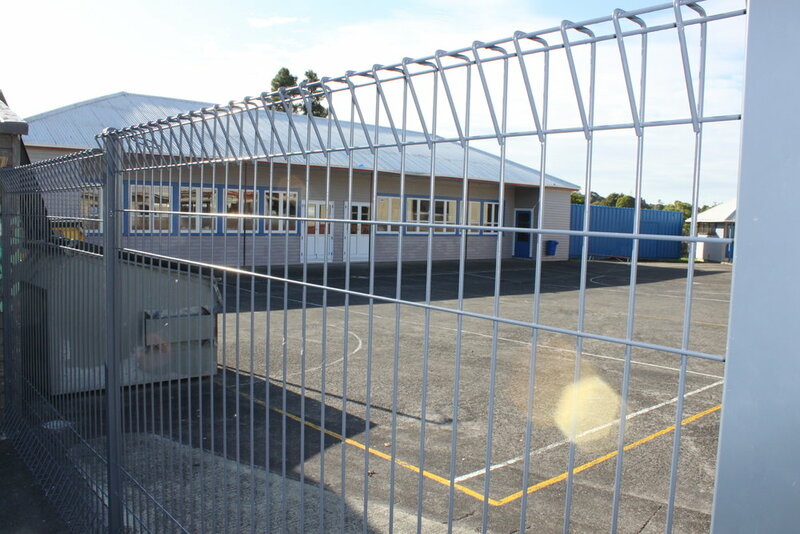 Whether it’s high-strength Wrought Iron fencing, folded panel fencing or custom-fabricated steel and aluminium fencing, Hampden Fence offers a comprehensive range school fencing products that suit almost any education facility. 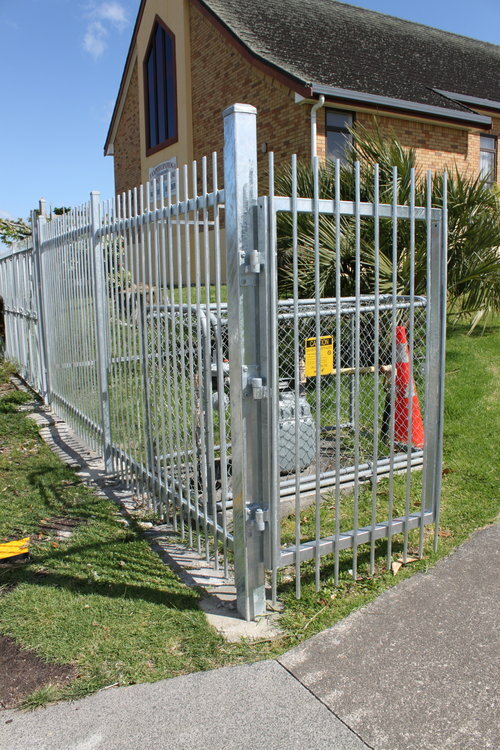 Pedestrian and vehicle access gates to match each fence style are also available, with or without automation and access control. 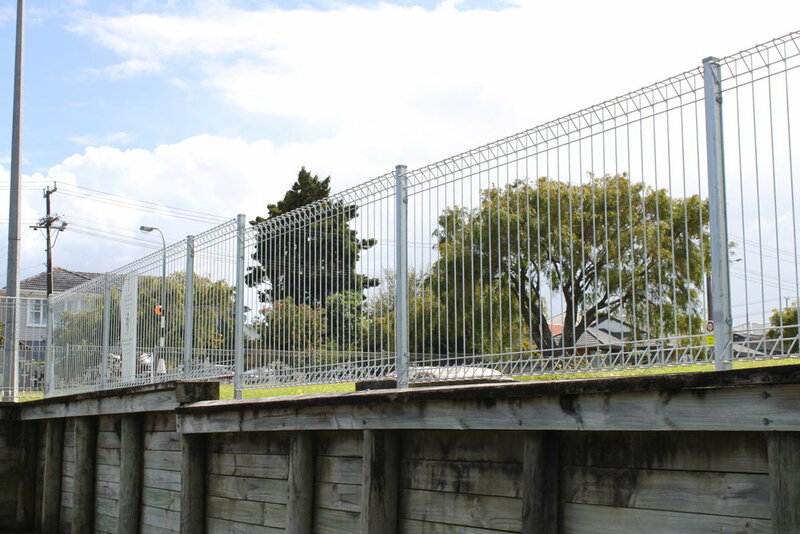 Hampden has one of the most experienced teams in the fencing industry, and its specialist knowledge and capabilities are second to none, which makes it the ideal partner for school fence and gate projects. 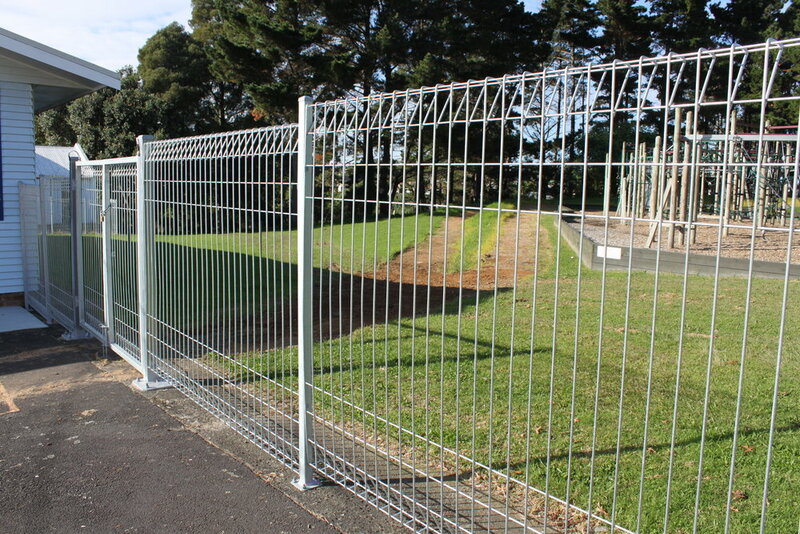 Hampden Fence was engaged by Waiuku Primary School and main contractor Greenstone Group to help improve the perimeter security of the school grounds and sports fields. 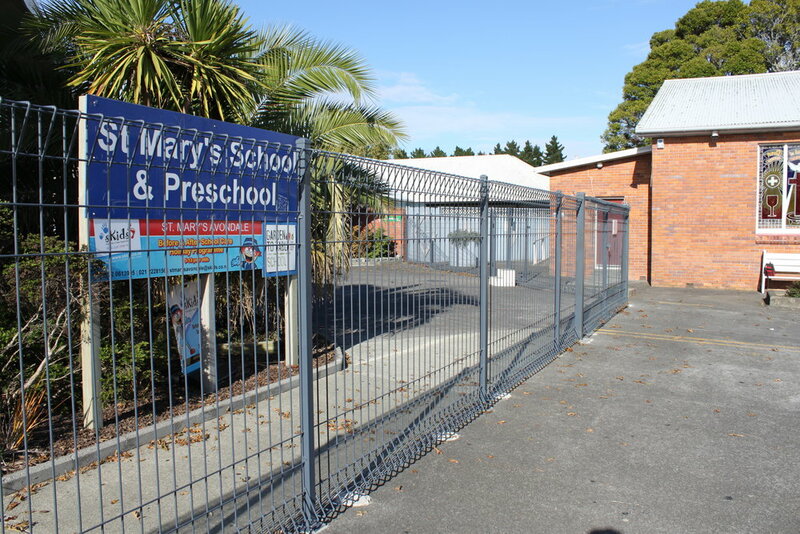 The Waiuku Primary School project ran smoothly, both on time and on budget, and without any notable incidents. 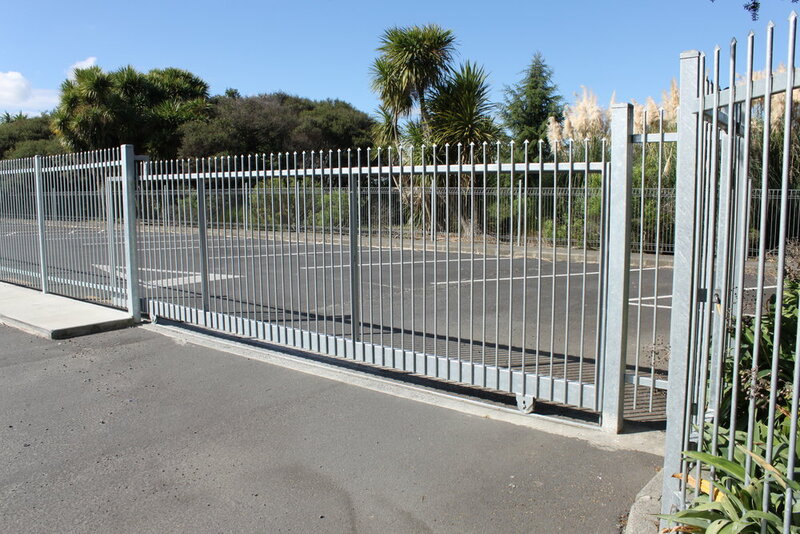 The end result…another happy customer and a secure school. 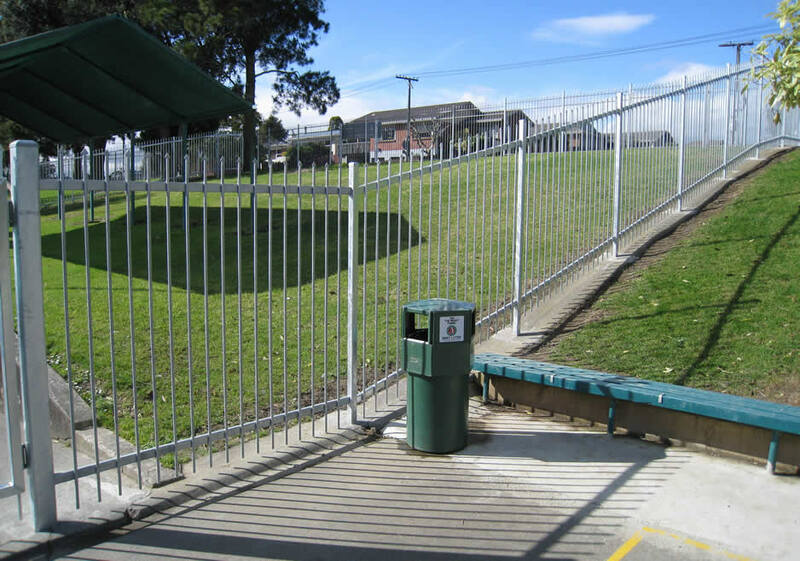 Hampden Fence was recently asked to provide high-quality folded panel fencing and gates for an upgrade to selected areas of St Dominic's Catholic School in Auckland's Blockhouse Bay. 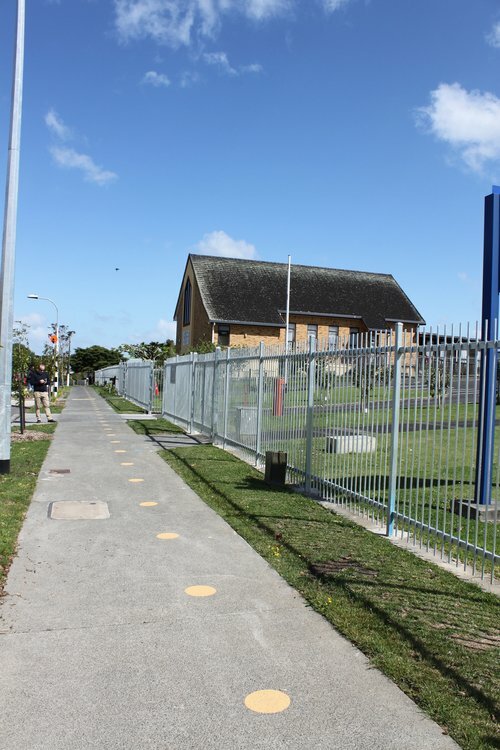 The new Folded Panel Fencing seamlessly blended in to existing panel fencing across the school, ensuring the overall aesthetics of the site were maintained. 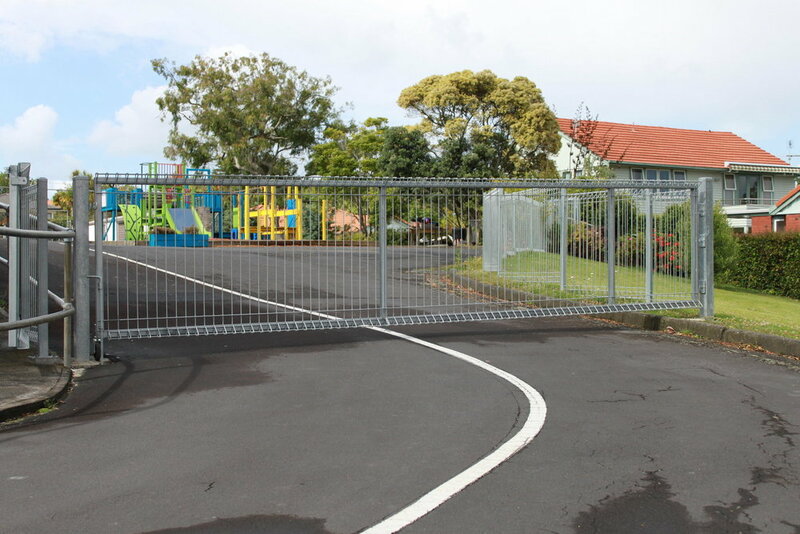 New vehicle and pedestrian access gates were installed to help control traffic flow in key areas, ensuring the safety of pupils, staff and visitors alike. 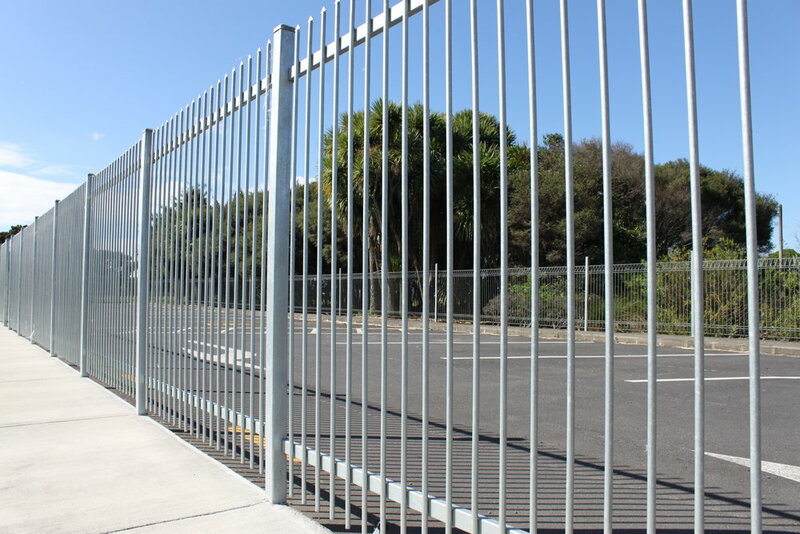 Hampden has a comprehensive range of school fencing and gate products, and one of our safest and most robust solutions is custom Wrought Iron panel fencing. The staff and visitor carpark at Alfriston School is tucked away, just to the side of the main school entrance, on a very busy main road. This road sees high-volumes of traffic including dairy trucks and other service vehicles. 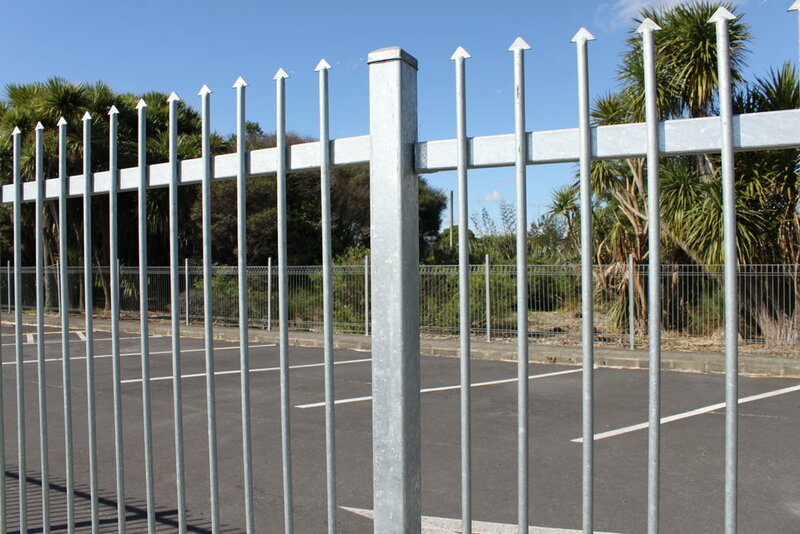 Wrought Iron fencing helps to ensure the safety of those using the carpark, should any vehicle have an accident and leave the road. 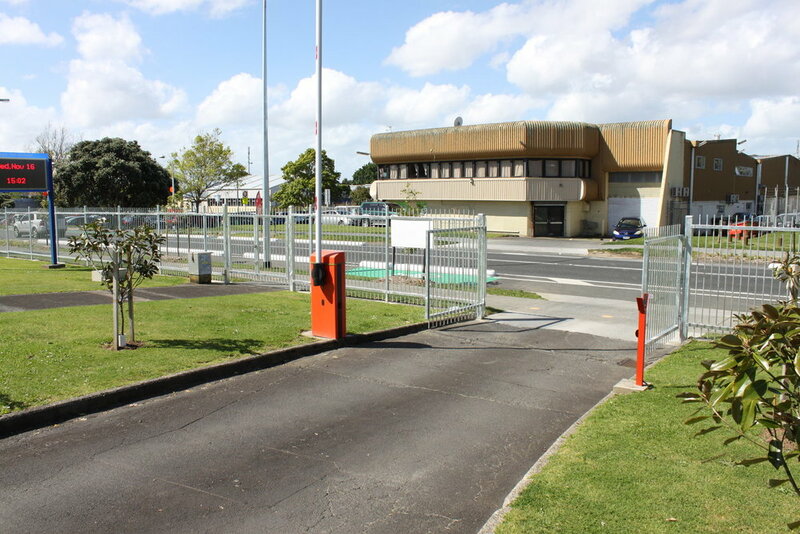 Added security features such as Spearhead spikes also help to provide added security to the carpark area, which is largely out of direct sight of the main office buildings. 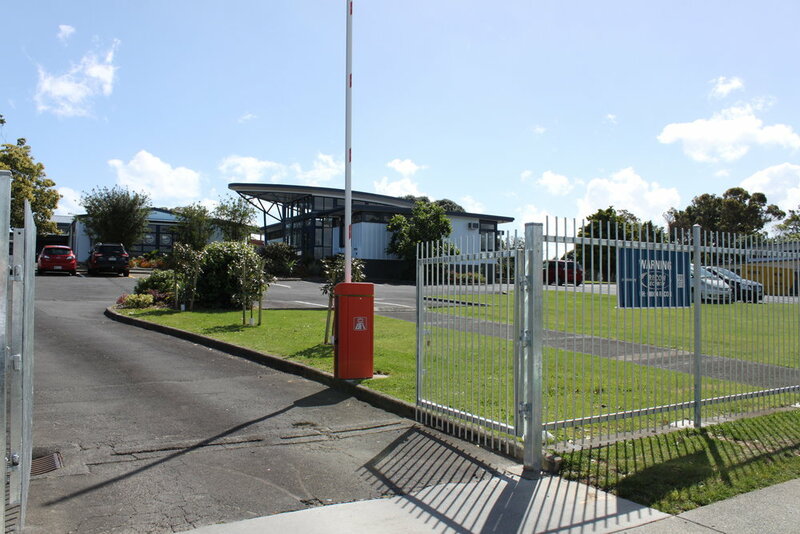 Papakura Central School is a co-ed state primary school in the heart of Papakura, Auckland. With a role of almost 400 students, Papakura Central School has a focus on being a ‘Thinking, Creative School’, encouraging its pupils to ‘have fun while learning'. 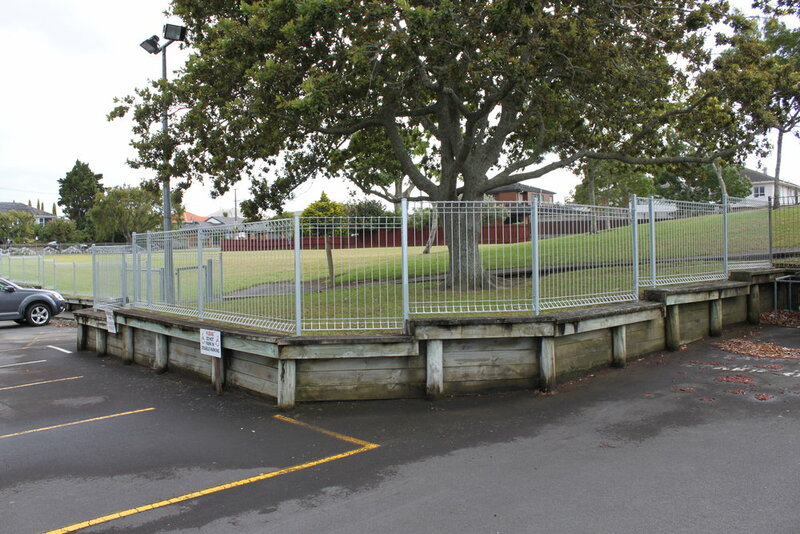 The school pool is a major draw-card for fun, and with saline cloth covered wire mesh fencing starting to look ragged, Papakura Central’s Board of Trustees decided to replace the fence in order to meet local authority standards, and to ensure it was in keeping with the rest of the school’s security fencing. 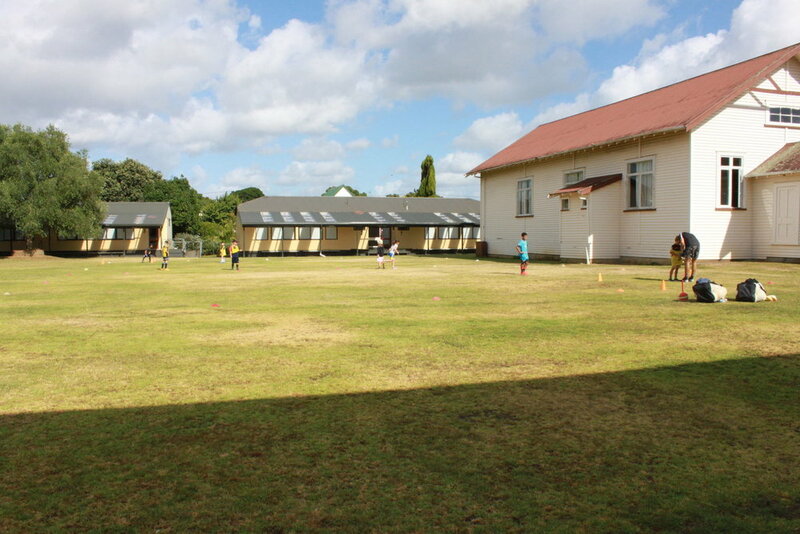 Papakura Central School helps its students to achieve their potential by teaching them knowledge, skills & attitudes in a positive and challenging environment. 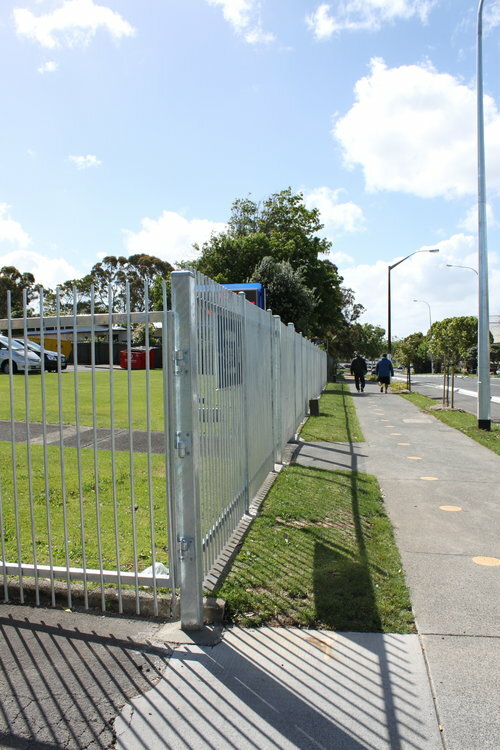 As a focal point in the local community, Papakura Central takes great pride in its facilities and is committed to the safety & security of its staff, pupils and all visitors. 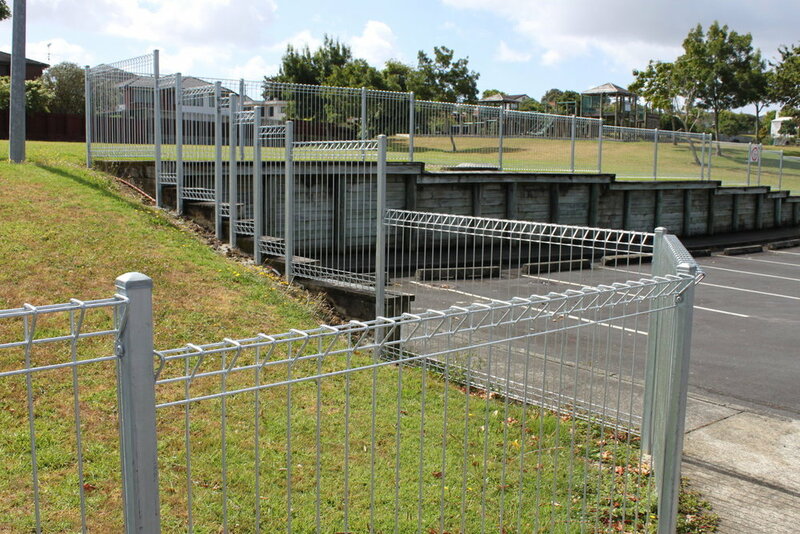 In choosing a replacement fence for its pool, Papakura Central School needed a solution that would not only ensure this ongoing safety, but would stand the test of time in style. 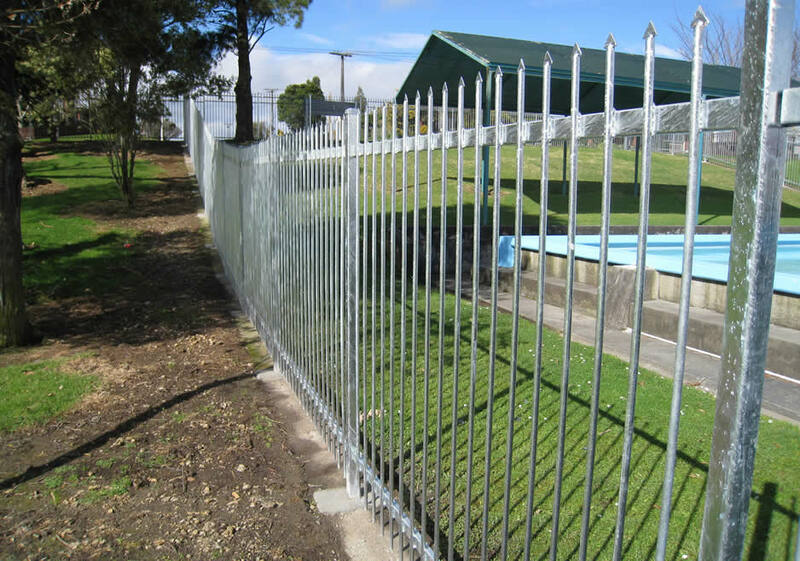 Stylish: Deliver a solution that is attractive, in keeping with the school’s existing perimeter fencing, and able to seamlessly ‘integrate’ into the undulating site surrounding the pool enclosure. 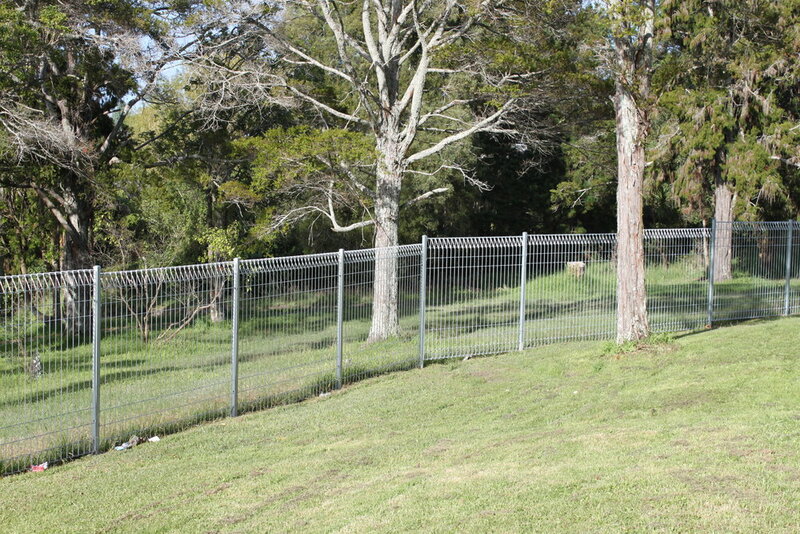 Cost -effective: Provide a cost-effective fencing solution that represented excellent value for money. 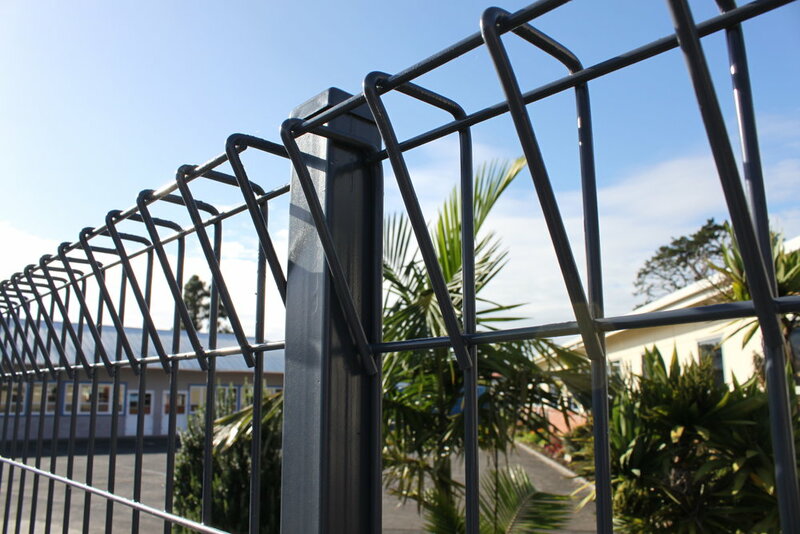 Hampden Fence installed a Solid Wrought Iron Security Fence topped with Arrow Spikes around the pool enclosure that matched the rest of the school’s perimeter fencing. “The Hampden team was great from start to finish”, says Barbara Duckworth, Papakura Central’s Principal. “Pricing & timelines were clear, and we were kept well informed of when Hampden’s installation staff would be on-site”, adds Barbara. “I must commend James and his installation crew. They sought verbal confirmation at every stage of the job, ensuring my expectation were always met”, states Ms. Duckworth. 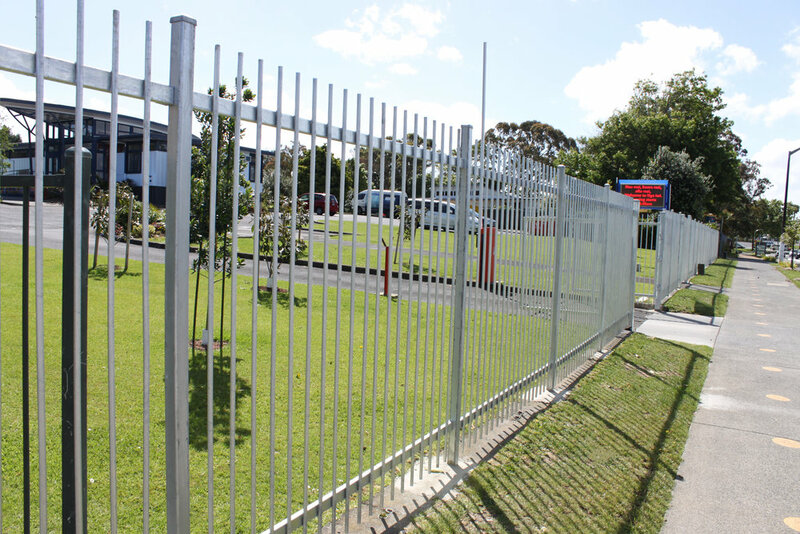 Hampden Fence is New Zealand’s largest and most competent fencing company, which made it an easy choice for Papakura School when choosing a supplier for its replacement pool security fence. 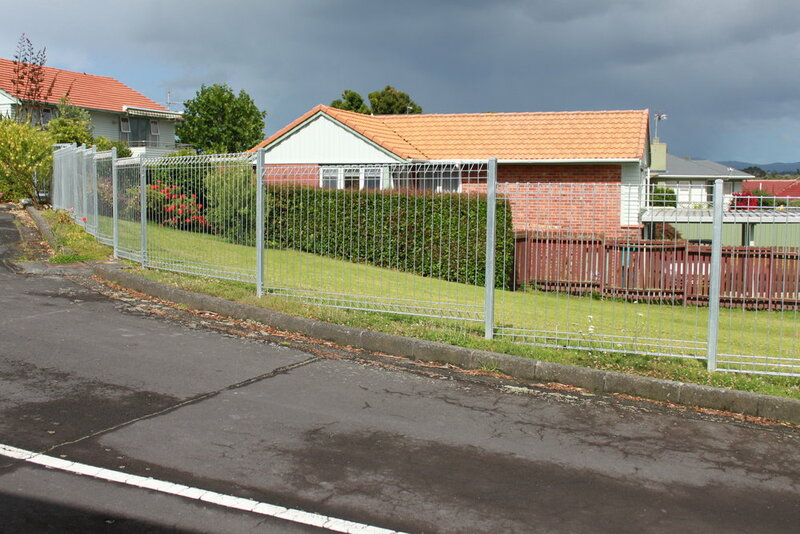 “We really wanted the new fence to blend in with the pool environment, and we did not want the fence to look staggered down the slope of the hill”, says Barbara. 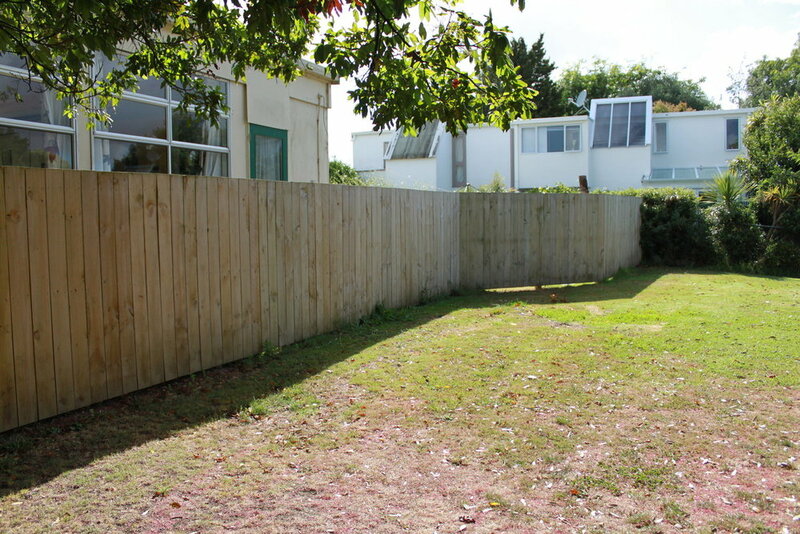 “We are delighted with the way the new fence runs parallel to the ground, following the natural gradient of the land”.